^ 1.0 1.1 New Hampshire Counties. New Hampshire Almanac. [2013-06-28]. （原始内容存档于2013-04-29）. ^ Stackpole, Everett Schermerhorn. History of New Hampshire. The American Historical Society. 1916 [2013-07-10]. （原始内容存档于2013-07-03）. ^ New Hampshire QuickFacts from the US Census Bureau. US Census Bureau. 2013-06-06 [2013-06-28]. （原始内容存档于2013-05-02）. ^ Hillsborough County QuickFacts from the US Census Bureau. US Census Bureau. 2013-06-06 [2013-06-28]. （原始内容存档于2013-05-26）. ^ Coos County QuickFacts from the US Census Bureau. 2013-06-06 [2013-06-28]. （原始内容存档于2013-05-26）. ^ FIPS Publish 6-4. National Institute of Standards and Technology. [2013-06-23]. （原始内容存档于2013年4月23日）. ^ 7.0 7.1 EPA County FIPS Code Listing. US Environmental Protection Agency. [2013-06-28]. （原始内容存档于2012-10-08）. ^ 8.0 8.1 8.2 8.3 NACo - Find a county. National Association of Counties. [2007-07-24]. （原始内容存档于2007-07-11）. 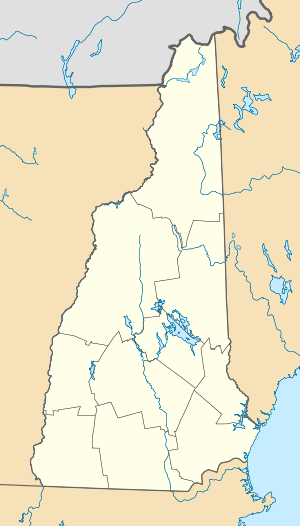 ^ New Hampshire Counties. The NHGenWeb Project. [2007-07-24]. （原始内容存档于2007-07-13）.